Bali Dive Safaris (continued) are multi-day dive packages that include both SCUBA diving and accommodation. 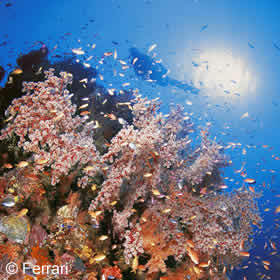 On a Dive Safari you may visit several of Bali’s best dive sites and areas, staying in hotels near each day’s diving. AquaMarine’s crew will move you, your dive equipment, and other baggage for you as you move around the island. Safari’s are an easy and budget-friendly way to see Bali’s best diving! The suggested hotels/resorts can be amended to suit your interests and budget. We’ve noted suitable PADI Specialty courses that could be included in your Safari. 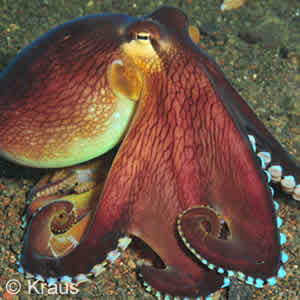 Happy for us to select your dive sites? This Safari is designed for divers who are flexible about the sites they dive on the north east coast, outside Padangbai/Candidasa and over at Nusa Penida/Lembongan. We guarantee at least 50% boat diving (based on an even number of days!) and a choice of accommodation to suit you and your dive partner. On one of these Bali Dive Safaris you might dive on the world famous USAT Liberty Shipwreck in Tulamben Bay OR over at Nusa Penida (including one of the Manta Points, or Mola-Mola sites in season). Then again you might visit the Amed coast or Blue Lagoon/Jepun. The diversity of Bali’s dive sites provide great diving for all! Then you can go on to explore top-side activities. The package provides half board (breakfast and lunch), and 3 dives per day with choice of accommodation. See Safari itinerary below for suggested accommodation. The basic package is 2 days (6 dives) with the option to add extra diving days (3 dives per day) and accommodation. We guarantee at least 50% boat diving (assuming you book an even number of days). The world-famous USAT Liberty Shipwreck at Tulamben Bay is not the only wreck in Bali. Take time to explore the Anker Wreck at Menjangan Island, the Kubu wreck just north of Tulamben Bay, the “Japanese” wreck in Amed and the Jepun wreck, just outside Padangbai on Bali’s east coast. Love Wreck diving? AquaMarine offers 3 and 6 Day Bali Dive Safaris with a focus on the varied wrecks around Bali. The 6 Day Dive Safari encompasses sites from Menjangan Island in the north west (Anker Wreck) to the north east coast with three wrecks (Kubu, USAT Liberty Shipwreck and the “Japanese” wreck at Amed), to Jepun near Padangbai. For those with limited time, we offer a shorter programme, diving on the north east and east coasts. A great combination of sites – you choose the Dive Safari to suit you with the option to add extra days. These Dive Safaris can easily be extended or added-to as desired, and can also be done in reverse order of sites and accommodation if required. A programme designed for divers with an interest in the environment and ecology. Dive at Menjangan Island, the first internationally recognised Bali dive location, and Pemuteran Biorock Project. On these Bali Dive Safaris you have the option to include PADI Specialty training with a focus on the environment. Option to include a visit to the Turtle Hatchery in Pemuteran and perhaps participate in the turtle release programme. Or extend your stay in the north west and explore the West Bali National Park. Ask us about extending your programme to stay in the north west for more diving; exploring the West Bali National Park or travel to the north east coast for more diving in the Tulamben area. *Suggested accommodation in Pemuteran at Adi Assri Hotel or Mimpi Resort Menjangan. With these Bali Dive Safaris gain your Master Scuba Diver certification – PADI’s highest non-professional certification level. The programme is conducted in Tulamben Bay and allows the opportunity to combine Specialty and Recreational dives. It’s a great opportunity. Are you an avid diver, and want to be the best diver you can, but don’t intend to make a career in scuba diving? Join us at AquaMarine to complete your Master Scuba Diver certification, PADI’s highest non-professional certification. AMD-B has developed a 5 Days / 4 Nights / 15 Dives MSD Safari that includes 5 PADI Specialties of your choice (and certification), all accommodation, and transfers. Enjoy a combination of Specialty and Recreational dives, and take your diving to the next level. If you already have a few Specialty courses to your credit, we’ll adapt a programme specifically for you. Price: Dependent on which Specialties you take. Please contact us to discuss your options. Day 1 07:00 Pick up from south Bali accom. *Suggested accommodation at Paradise Palm Beach Bungalows or Ocean View Villas. We’ve designed a programme to include diving on the north east coast (Tulamben Bay and Amed), plus boat diving outside Padangbai/Candidasa, and over at Nusa Penida including Manta Point – a great combination of sites. Superb accommodation plus great diving makes an unbeatable combination. We have developed 5 and 7 Day Bali Dive Safaris for divers staying at Alila Manggis near Candidasa. These dive packages are only available 1 Apr – 15 July 2018, 16 Sep – 23 Dec 2018 and 06 Jan – 31 Mar 2019. After diving, guests can enjoy the tranquil setting at Alila Manggis. Choose the 7 Day option to include Whitewater Rafting to see more of topside Bali.